We’re taking shopping to a whole new level with 2-DG. 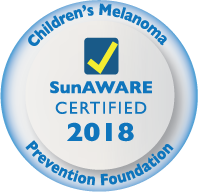 When you purchase one of 2-DG’s SPF50 UV Protective Golf Shirts, you are not only protecting your skin from harmful rays that cause skin cancer, but you’re also helping to fund groundbreaking cancer research. A portion of all sales from 2-DG’s Italian Golf Shirts is used to fund Cancer Treatment Research through The Lampidis Cancer Foundation. Now that’s money well spent! What is The Lampidis Cancer Foundation? Because of the success of this work, an FDA approved Clinical Trial was conducted. The purpose of this phase 1 of the trail was to discover the correct amount of 2-DG that should be used. Before they are able to progress to phase 2 of the trial, there is more research that must take place to determine the most effective combination of treatments and the delivery method. Who is Dr. Theodore Lampidis? Dr. Theodore Lampidis is highly respected Professor at the Department of Cell Biology at the University of Miami Miller School of Medicine and a member of Sylvester Comprehensive Cancer Center. He has devoted the last 13 years of his life to his research on glucose tumor metabolism with a single-minded purpose that he describes as follows: “I am convinced that the biochemical principles at the heart of our work are as fundamental as gravity. That is why I believe investigating tumor metabolism in general and glucose metabolism in particular, will lead to significant and real advances in the struggle we all one way or another face in fighting this devastating disease." How can I help support 2-DG Cancer Research? We’ve made it easy for you to help support Dr. Lampidis and his research team at the Lampidis Cancer Foundation. Just by simply purchasing our luxury golf apparel, you are making a difference. 10% of our profits are donated to the Lampidis Foundation to help Dr. Lampidis and his team continue his potentially life-saving research, and move on to further clinical trials. If you’d like to donate directly to The Lampidis Cancer Foundation you can do so here. Together, we can put an end to this devastating disease.